Stronger Than Hate offers actionable responses to the rising crises of hate today. An introduction to our program to equip teachers, parents and community leaders with resources to help youth recognize and counter antisemitism, racism, xenophobia and other hatreds. Holocaust survivor Judah Samet is a member of the Tree of Life synagogue in Pittsburgh that was attacked by a gunman who killed 11 on October 27, 2018. Samet, who missed the massacre by minutes, gave his testimony to USC Shoah Foundation in 1997. In this clip, he talks about the antisemitism he witnessed as a child. Access cost-free resources as part of the 25th-anniversary rerelease of Schindler’s List and its education partnership with USC Shoah Foundation through its award-winning IWitness website and more. Every day, teachers, parents and community leaders confront the seeds of hate. 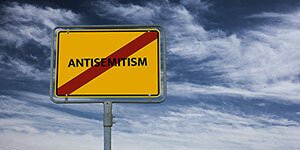 They need support, resources, training and tools to provide values-based education and leadership to enable students to learn to recognize and counter antisemitism, racism, xenophobia, and other hatreds, rather than ignore or even harbor them. 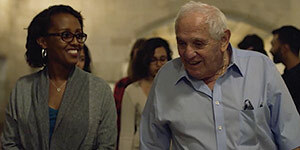 Stronger Than Hate delivers USC Shoah Foundation’s proven educational strategies and resources that enable hateful ideologies to be deconstructed and countered, intervening in the cycle that leads from hate to violence. 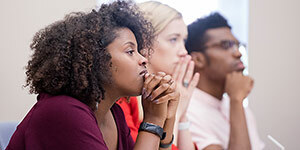 Examine current events and issues relevant to the Institute's mission. These focal points include such topics as antisemitism and discrimination.